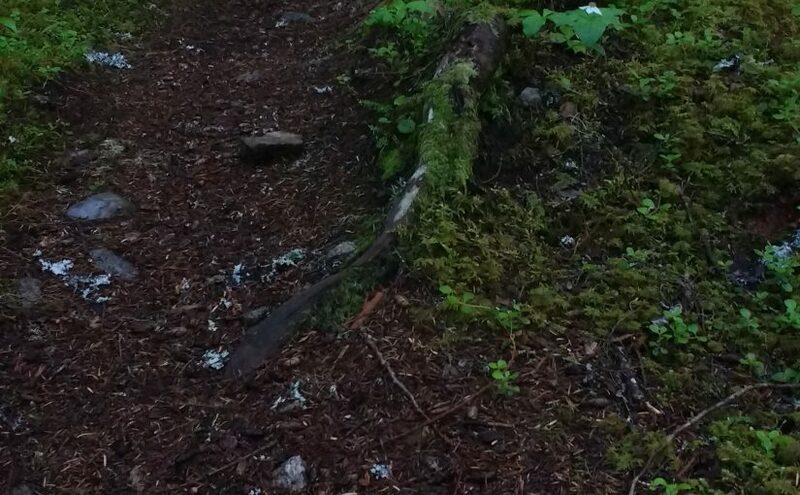 this trail makes an awesome option to hike up, do a hot springs soak and then return, or mountain bike up and return, or a descent from the hot springs with someone else driving your vehicle for the pick up. can be easily combined with kimbol lake trail. 18 hole golf course, Rental carts, clubs, pull carts, driving range. Fully licensed restaurant – the mountain view cafe. 3 blocks from public beach and next to Community Park. 10 powered sites. 28 non-powered. Hot Showers and Sani Station. Open May-Oct. Reservations accepted. 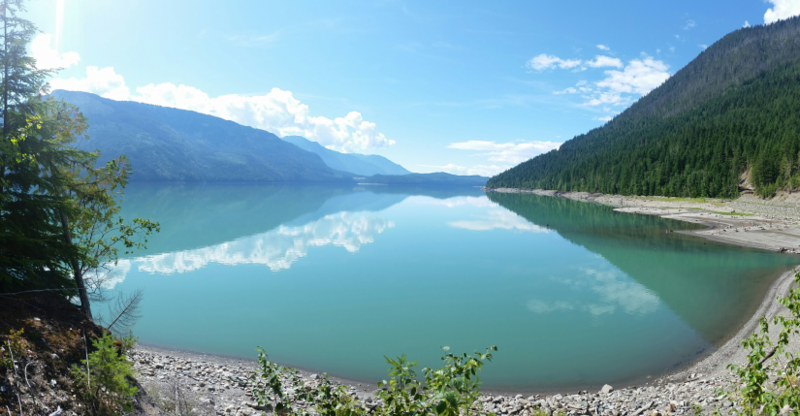 This beautiful lake is found in the narrow valley of Fitzstubbs Creek, backed by the 2300 m peaks of the Nakusp Range. It is popular with family groups, as it offers something for everyone. The level sites beneath trees are suitable for tents, campers or trailers. Long weekends find folks coming from far and wide to gather for reunions, do some fishing for Kokanee and rainbow trout, swim, bike ride, play bocce and horseshoes. For those who want to get away from the crowds, a small hidden lake joined to Beaver Lake by a narrow stream, is accessible by canoe. Canoeists will also find the inlet and outlet stream interesting. Mountain biking on the Wilson Creek Forest Service Road is popular. Keep your eye open for wildlife coming down to the creek for water. Boating restriction: electric motors only. 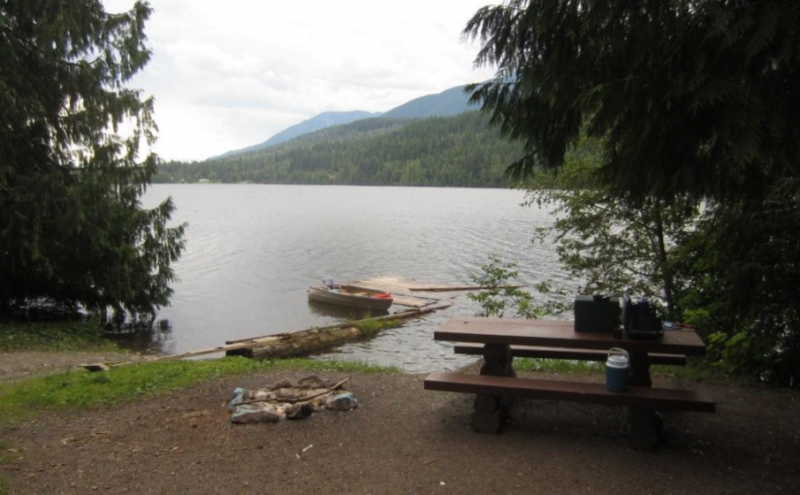 8 campsites and a boat launch. Driving Directions:Turn off Highway 6, at Rosebery, onto the “East Wilson Creek Road”. This road soon turns into the “Wilson Creek Forest Service Road”. Follow this good 2 wheel drive gravel road. At 5 km the road forks, stay left. Just before the orange and white 20 km marker, turn left at the “Beaver Lake Recreation Site” sign onto a good 2 wheel drive dirt road. Follow this road for 400 meters to the campsite. SITE FEES IN EFFECT SUMMER 2014 Fees will be collected from May to October Annually at a rate of $12.00/night ($6.00/night for seniors). In the spring and early summer, trout fishing makes this a popular weekend retreat for area residents. The lake is stocked with both rainbow trout and eastern brook trout. On long weekends, Box Lake becomes the site for family reunions. Later in the season, the towering cedar and hemlock surrounding Box Lake campsite, provide a cool and shady retreat, while the sun beats down. The lake warms to comfortable swimming temperatures in mid summer. In the fall look for mushrooms under the cedar and hemlock trees. Boating restriction: electric motors only. Driving Directions: From the junction of Highway 6 and 23 in Nakusp, travel east on Highway 6 towards New Denver for 10 km. About 2.5 km before the Box Lake turn off, you will begin to get views of the lake from the highway. At 10 km, look for a brown 4×4 post with white lettering, signed “Box Lake” on your right. Turn off Highway 6 at this sign, onto a good 2 wheel drive dirt road. Proceed 1.9 km to a sharp right turn, which will take you into the recreation site. This is one of the few pure stands of old growth Western Red Cedar in the area. The loop trail through these giants is easy enough for toddlers through to “opals” – older people with active lifestyles. The height of these western red cedar trees will have you craning your neck as your eyes follow the massive trunks towards the sky. The understorey is dominated by Lady fern and Devil’s club, so beware if you venture off the trail. This is a pleasant retreat on a hot day. Bring a picnic and enjoy the stillness and quiet of this special place. Driving Directions:From the junction of Highway 6 and 23 in Nakusp, travel north on Highway 23 for 3 km to the Nakusp Hot Springs turn off. Take the Hot Springs road for 10.8 km. Turn left onto the “Kuskanax Creek Forest Service Road”. Follow this steep, rough, loose surface, high clearance, 2 wheel drive road for 4.2 km. Turn left onto a dirt road, signed “Cedar Grove Trail 0.8 km”. Park at the “Large Western Red Cedar Grove” sign. This is a beautiful campsite right at the mouth of Hadow Creek. There are six campsites suitable for tenting or small RVs . Great opportunities for camping, fishing, and boating are available here. 6 campsites. Driving Directions:Heading from Nakusp, take a right at the junction near the Galena Bay Ferry and follow the highway sings towards Trout Lake (this would be a left coming off the ferry from Revelstoke). Zero your odometer here. Follow this Hwy for 17.7 Km where you cross a bridge and follow the signs to Beaton. Take a right on Fish River Road at 22.7 KM. Follow Fish River Road to 26.3 KM where you will find a bridge crossing the Fish River. Cross the bridge and take the immediate left. Zero your odometer again here. Travel the main line to 5.7KM, stay left at this junction. At 8.3 KM stay left on the main line. At 9.1KM, just after a bridge, take the left fork heading down towards the lake (Whiskey FSR). Follow the Whiskey FSR to 11 Km and find the Recreation site. You could also access the site by boat on the Beaton Arm. In a forested setting right on the Halfway River there are two main pools to soak in. 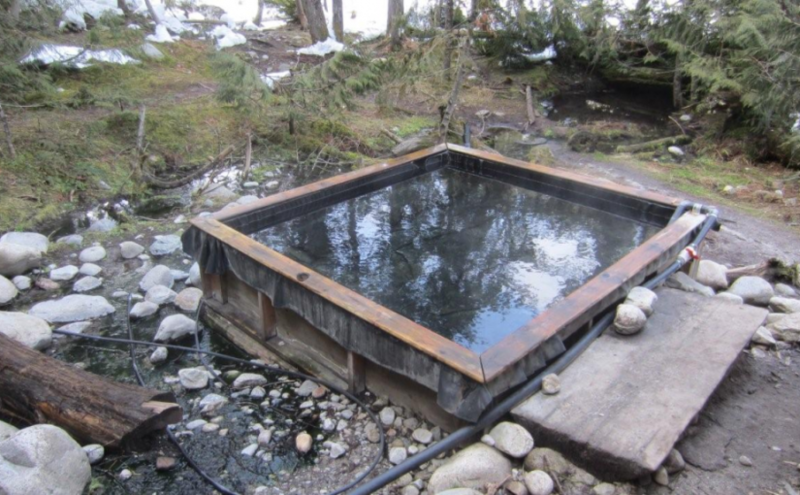 One set of pools has comfortable soaking boxes and decks made of salvaged wood. The other pool is right down adjacent to halfway river on the water; follow a 100 Meter trail to find it. The water comes out of a pipe at a temperature much too hot to soak in. You can control the flow, and add river water or snow to cool it down. There is a shelter for changing and an outhouse on site. Watch out for Poison Ivy in the summer months, the surrounding area is covered with it! Driving Directions:From Nakusp drive approx. 26km North to Halfway River. Just before going over the bridge that crosses the halfway river, there is a FSR to the right. Turn onto this road and drive approx. 11.5km to the parking on main FSR. From Galena Bay drive approx. 22km South. On the drive you will pass Halcyon hot springs on your left. As you continue the drive keep your eyes open for the halfway river. Slow down driving over the bridge at Halfway River and take your first left on the FSR after the bridge. Drive approx. 11.5km to the parking on the main FSR. Once parked, you can follow the old road down to the toilet. Just behind the toilet you will see the path leading down to the various hot spring pools. If you have a high clearance 4×4 you can drive down the old road that leads to the toilet; there is space to park there. Park at the top and check the road before attemtping to drive it. Driving Directions: From the junction of Highway 6 and 23 in Nakusp, travel east on Highway 6 towards New Denver for 6.3 km. Turn left onto the “Wilson Lake Road”. Take this good 2 wheel drive, gravel road up Wensley Creek, past the sawmill. Stay left at the “Wilson Lake Forest Service Road” junction. Turn left past the access road to the Wilson Lake West Recreation Site. Continue up the hill. Horseshoe Lake Recreation Site is 400 meters past the 8 km marker. The drive up the Wilson Creek Forest Service Road is very scenic offering views of a cascading water fall at the 28 km marker and opportunities to do a little fly fishing all along Fitzstubbs Creek, which the road parallels. 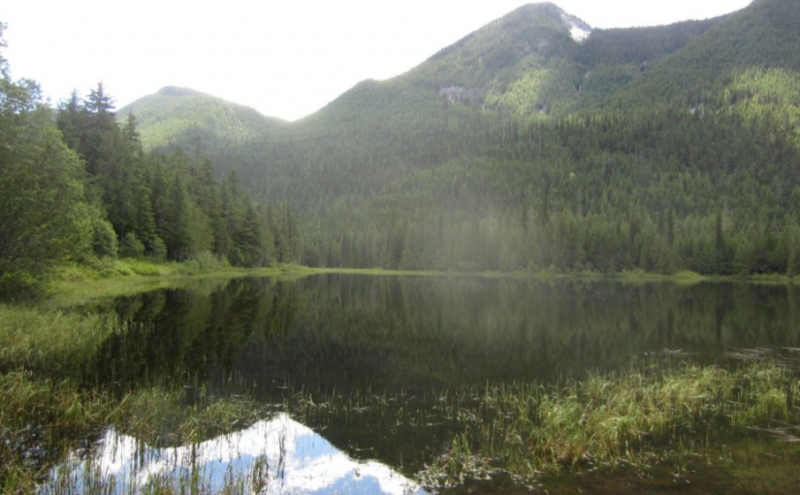 Little Wilson Lake, surrounded by high peaks, is found at the base of 2350 m Mount Ferrie. This pleasant, open, grassy campsite, well off the forest road offers a quiet get away for the avid fisherman. Little Wilson Lake is ideal for small boats and canoes. Hikers will enjoy exploring old roads and trails along the lake shore. The more ambitious hiker can use this campsite as a base for a trip to the Hamling Lakes area. 3 campsites. Driving Directions:Turn off Highway 6, at Rosebery, onto the “East Wilson Creek Road”. This road soon turns into the “Wilson Creek Forest Service Road”. Follow this good 2 wheel drive gravel road. At 5 km the road forks, stay left. Just before the orange and white 31 km marker look for a 4×4 post on your left, painted brown with white lettering, signed “Little Wilson Lake”. Turn left here, onto a rough 2 wheel drive dirt road. Follow this road for 800 meters to the campsite.